The division was created for the first Legislative Assembly election in 1974. It was named after the main business district of the northern suburbs which took its name from Casuarina Beach, where there are numerous beach sheoak trees (Casuarina Equestiplia). The 2015 redistribution saw part of Alawa moved from Casuarina to the division of Johnston. 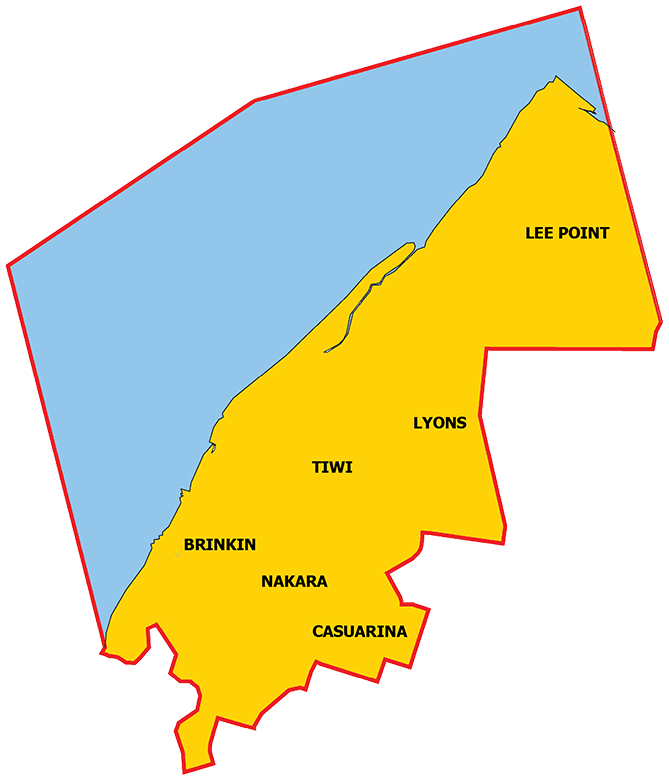 Parts of Lyons were moved from Wanguri so that the suburb of Lyons is now entirely in Casuarina. This division lies on the northern coastline of Darwin. It includes the suburbs of Brinkin, Lee Point, Lyons, Nakara, Tiwi, the hospital precinct and parts of Alawa and Casuarina.